Weeds are never a welcomed sight for your home. Even a small amount of weeds in your lawn can keep a lawn from being fully stunning. With weed control and pre-weeding services by Pro Lawn you won’t have to worry about weeds popping up and can present your lawn with full confidence. A weed control plan is critical; weeds can damage your yard by competing with healthy grass for moisture, nutrients, light, and space. Proper fertilization, mowing, and irrigation encourage grass to grow quickly and prevent weed growth. If your lawn is suffering from disease, we’ll fix it. No matter what symptoms your grass may exhibit, our Pro Lawn Care will provide just the right treatments to help your lawn recover. Never lose hope of a beautiful yard; the remedy to your lawn’s trouble is just a phone call away. Our team has dealt with many different species of weeds and are familiar with other factors that can invite weeds in your lawn such as the soil and climate conditions. We combine all of this information to make sure that your lawn looks it’s absolute best. And Leaves You With a Yard You’re Proud Of. We have a world-class lawn care and maintenance plan for every yard in Tahlequah, Muskogee, Wagoner, Park Hill. 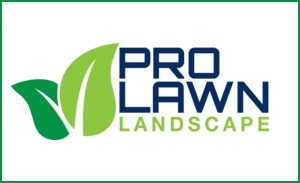 No matter what challenges you’ve faced in the past, Pro Lawn Care can bring your yard back to life and keep it looking amazing all year round. We’ll treat your yard like it’s our very own. From one neighbor to another. We want you to be proud of your yard and have your lawn be the last thing that you have to think about when you’re hosting guests or entertaining.